Thailand's ruling junta on Thursday said a deadly bomb attack at a religious shrine in Bangkok was "unlikely" to be the work of international terrorists, adding that the attack was not specifically targeted at Chinese tourists. International terrorists were not suspected of a bomb attack in Bangkok this week that killed 20 people and China was not the target, Thai authorities said on Thursday, as police said they believed at least 10 plotters were involved. There has been no claim of responsibility for the Monday evening attack on a famous shrine crowded with tourists, which the government has said was designed to wreck the economy. Authorities have not blamed any group for carrying out Thailand's worst bombing. "Security agencies have cooperated with agencies from allied countries and have come to the preliminary conclusion that the incident is unlikely to be linked to international terrorism," said Colonel Winthai Suvaree, a spokesman for Thailand's ruling junta, known as the National Council for Peace and Order. 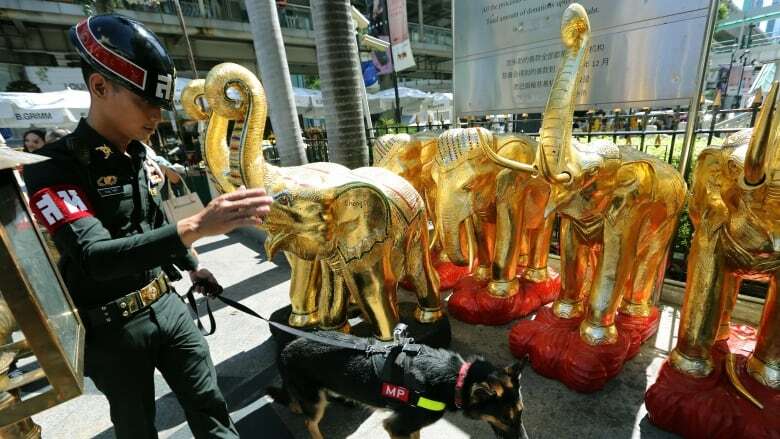 The Erawan shrine is particularly popular with tourists from China and other East Asian countries, and 14 foreigners were among the dead, including seven from mainland China and Hong Kong, but Winthai said Chinese tourists were not believed to have been the target. He did not elaborate or say who might have been responsible. China is an important ally and trade partner for Thailand and the biggest source of foreign tourists. Police said on Wednesday a young man who was caught on grainy security camera footage planting the backpack bomb was believed to be European or Middle Eastern. On Thursday, authorities said the man in a yellow shirt and shorts, with thick, dark hair and a wispy beard and glasses might actually have been Thai and disguised to look foreign. 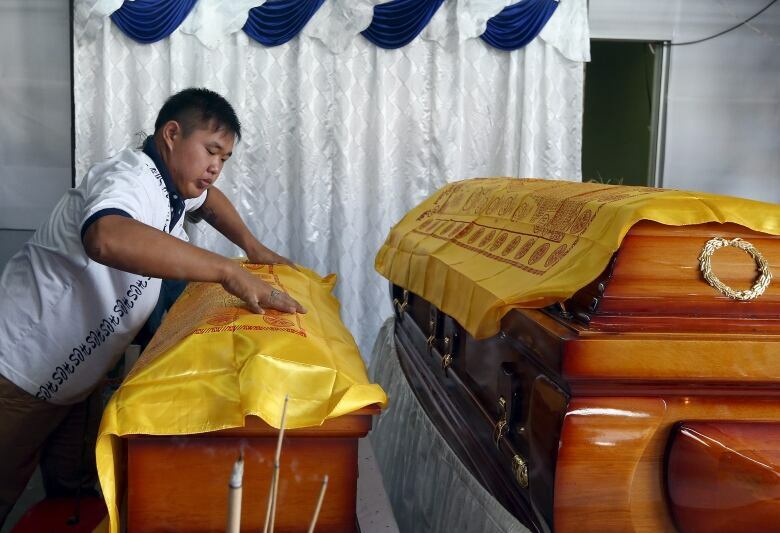 The apparent elimination of foreign militant involvement will feed speculation that either Muslim separatists waging a low-intensity insurgency in southern Thailand, or domestic political activists, were involved. Police said at least 10 people were suspected of involvement and despite the focus of suspicion apparently shifting to a domestic plot, they appealed to Interpol for help in finding the man in the video. National police chief Somyot Pumpanmuang said the investigation showed the attack was planned at least a month in advance by a "big network". "This includes those who looked out on the streets, prepared the bomb and those at the site and ... those who knew the escape route. I believe there must have been at least 10 people involved," Somyot told reporters. Referring to speculation about the origin of the man in the video, he said: "The criminal could be someone from inside the country but was disguised to make himself appear a foreigner." Checks at airports and other exit points found that no one matching the description of the main suspect had left the country since the attack, a police spokesman said. Somyot did not say who he believed the plotters were, or elaborate on the investigation, but said no possibilities were being ruled out. Police said that one of two suspected accomplices spotted on the CCTV footage had come forward to say he was a tour guide, and the other was a tourist from China who had flown home. Prime Minister Prayuth Chan-ocha said the attack signalled a threat to the region. "This event has never happened in Thailand, it is dangerous for ASEAN," he told reporters, referring to the Association of South East Asian Nations. He did not elaborate on the threat but also said the man in the video was in disguise. "It was as though he knew a camera was going to be there," he said. A parliament hand-picked by a junta that seized power in a 2014 coup is due to vote on a draft constitution next month. Critics say the draft is undemocratic and intended to help the army secure power and curb the influence of elected politicians. The government has promised to restore democracy next year. The government is also dealing with flagging growth and on Thursday appointed a new finance minister and a deputy premier to oversee the economy. 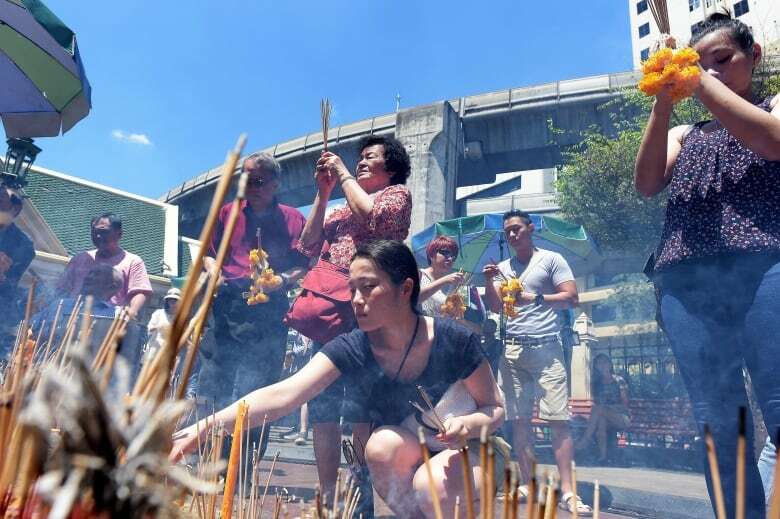 The Erawan shrine, which is dedicated to a Hindu deity but is popular with Buddhists in Thailand, has since reopened, with visitors leaving messages of condolence, flowers and candles.